If you are looking for a low cost, yet versatile crafting tool to add to your work box, why not consider a brayer? A brayer is a small hand roller that was traditionally used in printmaking. 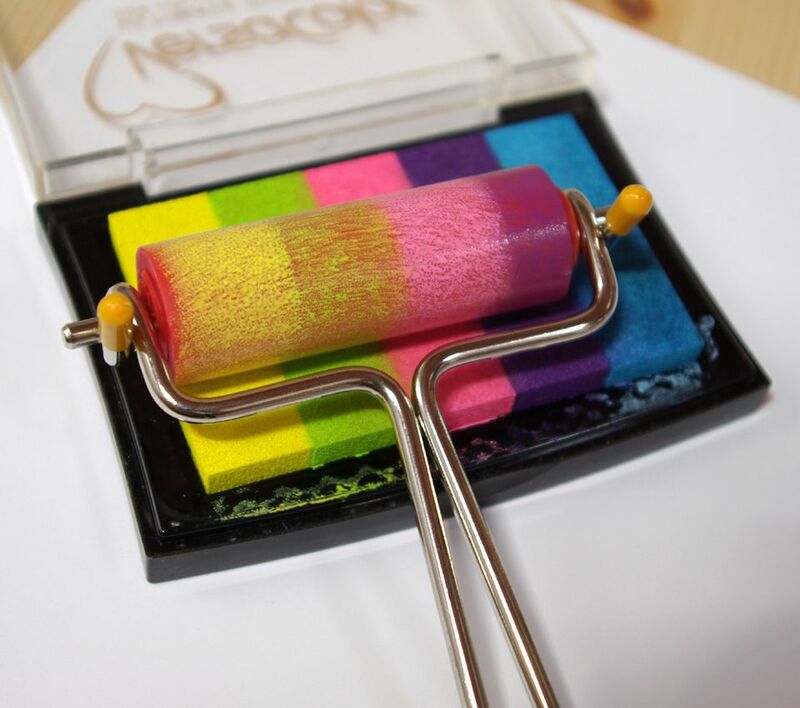 It is also a popular rubber stamping tool and can be used to ink stamps as well as to produce decorative results. Brayers are used to apply a thin layer of ink or paint to a surface. The brayer roller is made from rubber or similar materials. While the surface of most brayers is smooth to allow a consistent application of ink, some brayers have a decorative surface. Some brayers have detachable rollers which allow them to be replaced or changed as required. A brayer is very straightforward to use. Simply roll the brayer over an ink pad before lifting it and rolling the inked brayer over paper or a rubber stamp. Different effects can be achieved depending on how the brayer is used. Rolling over a single area will give a dense build-up of color while blended or shaded effects can be achieved by overlapping colors of ink or paint. It is important to keep the brayer clean. If paint or ink is left on the surface of a brayer it can contaminate future projects. Clean the brayer according to the type of ink or paint used. Water soluble inks and paints are simple to clean in soapy water, while permanent, alcohol or other inks will need to be cleaned following the manufacturer's instructions. Dry the brayer after use and roll the brayer over a piece of scrap paper to ensure that it is clean. Brayers are readily available from craft stores, art and print supplies stores and from online retailers. The price of the brayer will depend on the brand and also the size of the brayer. Good deals can be found by shopping around. A brayer is a great addition to your crafting toolbox. You can use a brayer not only to ink large surfaces, but you can also use a brayer to add decorative effects to your projects. Simply tie some yarn around the brayer or add some lace. When ​you roll it over the page, you will find that a decorative effect has been achieved. This is a good way to add a decorative texture to a large surface, like a card background or a scrapbooking page.